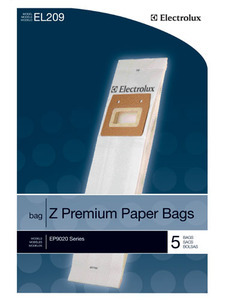 Electrolux EL209-4 Z Style premium paper dustbags 5 Paper bags Fits: EP9020 Series Used on EP9020 Series. Each single pack contains 5 bags. Master pack contains 4 single packs.